Fender and Dave Murray have collaborated on yet another ferocious signature model for the longtime Iron Maiden guitarist. 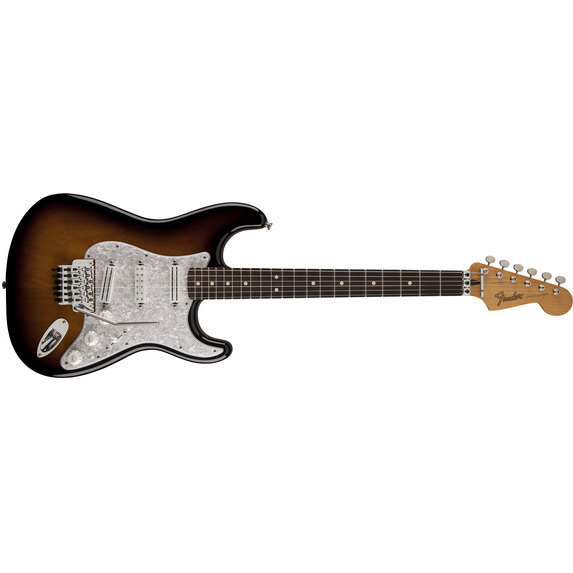 The Dave Murray Stratocaster is inspired by Murray's longtime onstage go-to guitar - a California Series Strat - combining time-honored Strat tradition with the modern roar of three Seymour Duncan humbucking pickups, the fast feel of a compound-radius fingerboard, and the high-performance reliability of a Floyd Rose bridge and nut. Comes with a padded deluxe Fender gig bag.